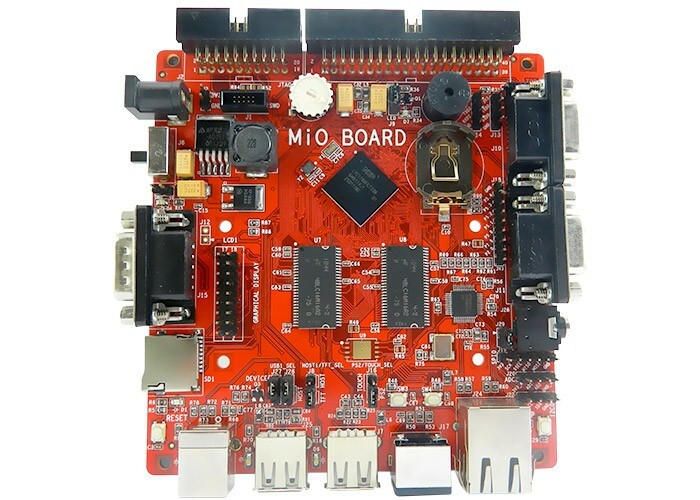 The LPC4088 MiO is based on Cortex M4 Core, running at up to 120MHz.The MiO lets you quickly start with your development on LPC4088 based designs. The sample code is provided for every peripheral that’s on board. Along with it, the schematic, required software and tools are provided using which you can start with your application development from day one. LPC4088 is suitable for various advanced applications that require high end display connectivity options. The LPC4088 MiO has a 20 pin Wiggler-compatible JTAG interface and a SWD interface which can be used for debugging/programming. 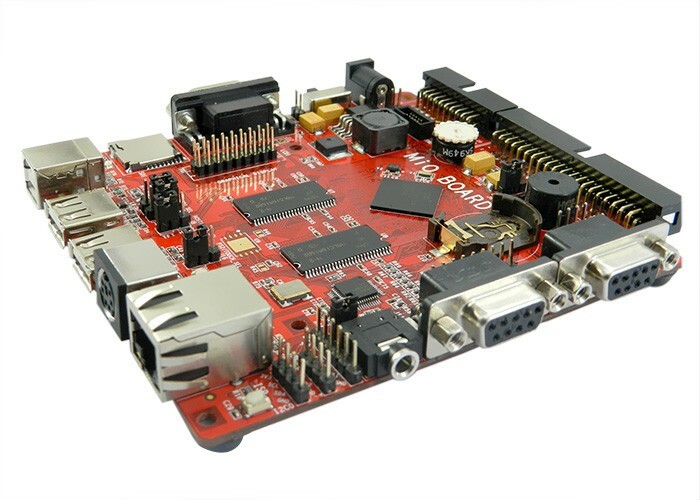 The board can be debugged/programmed using Parallel Port JTAG and other compatible debuggers like ULink2, ULink Me, ULink Pro, JLink ARM, Red Probe etc. 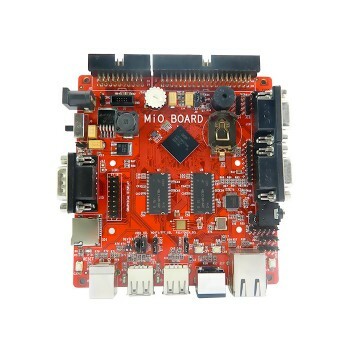 Note: Display Options for LPC4088 MiO are sold separately and are not the part of MiO Package. 20 PIN 2.54 mm JTAG Header, 10 pin 1.27mm SWD/JTAG Connectivity options. Audio Amplifier. Connected via DAC Out with 3.5mm audio jack. Internal RTC with CMOS Battery (2032) Connectivity Options. Interface : Parallel (connected to RX62N Board via 40 PIN flat Cable). Tested through: Internal TFT Driver. 3.5 inch TFT with Touchscreen (NOT AVAILABLE). Note: The above board supports interface of touchscreen with SPI only. 7 inch TFT with Touchscreen. CD Containing schematic, source codes, software, documentation and related details. 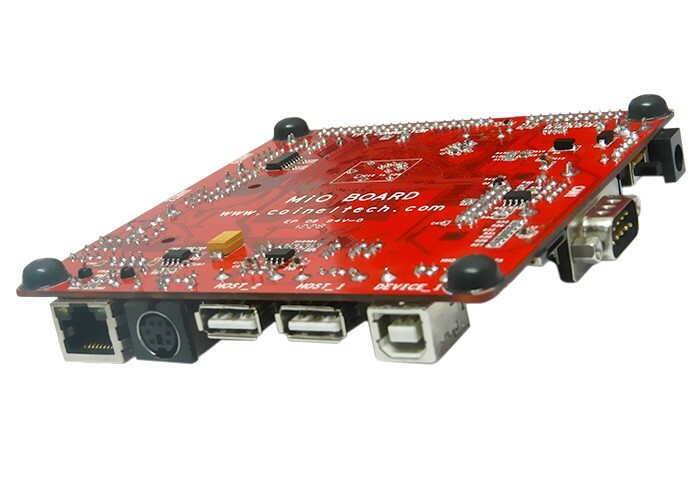 The Board can also be used with other JTAG Debuggers. The details on how to use the JTAG and its associated plugins are provided with the documents and also can be downloaded from Download and Support sections. The controller can be Programmed using CoFlash from CooCox. The binary file needs to loaded using this tool. Check using CoFlash for more details. 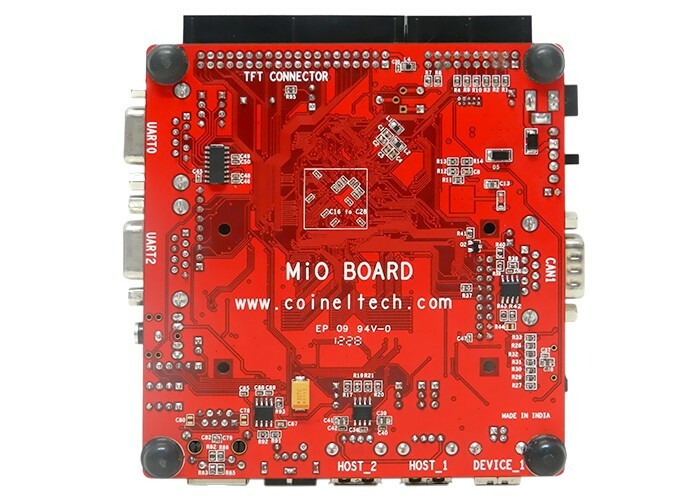 To use CoFlash, you would need CoiNel ARM USB JTAG or CoiNel CoLink Ex Debuggers. Our products can be used with majority of IDE and plugins that support CORTEX M4 LPC40xx family. A few IDE and plugin details are given below. H-JTAG, Flash Magic have been tested. Compatible debuggers like U-Link, J-Link etc can also be used. Nested Vector Interrupt Controller (NVIC) for fast deterministic interrupts. Wakeup Interrupt Controller allows automatic wakeup from any priority interrupts. Four reduced power modes – sleep, deep sleep, power down, deep power down. I2S Interface for digital Audio. RTC with event recorder for tamper detection. Motor Control PWM with quadrature encoder interface. Four 32 Bit General purpose Timer/Counter with eight capture and 10 compare outputs.